Herbert, Victor, 1859-1924. Mlle. Modiste. Nightingale and the star. Vocal score . 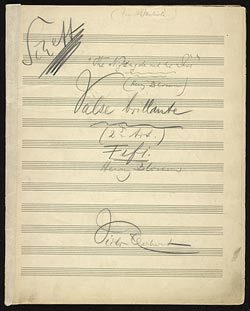 The nightingale and the star : autograph manuscript, 1905.